ELECTRONICS GURUKULAM: Why electricity in India is in the multiples of 11 like 11kv, 22kv, 33kv ? 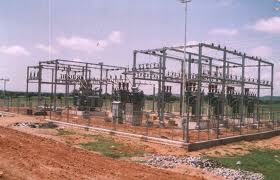 Why electricity in India is in the multiples of 11 like 11kv, 22kv, 33kv ? From the equation we see that E is proportional to 4.4 and it is in turn multiple of 11.So always transmission voltage is multiple of 11.